Ashburton Grove - Arsenal news and Arsenal opinion: Cesc trains with the kids -Juan Mata transfer latest -Wenger hands contract extension to Bartley? Cesc trains with the kids -Juan Mata transfer latest -Wenger hands contract extension to Bartley? It appears Cesc Fabregas has up his training schedule ahead of the new season and was yesterday training with the youngsters at London Colney. After Denilson said the Arsenal captain would stay with the club this summer, could this development - moving away from training in the gym and telling people at social events he's not moving back to Spain - mean that he'll stay with the club? Only if Barcelona don't match our valuation. But with each day that the season nears, for me it seems our captain will be an Arsenal player for another season. The Daily Mirror say Fabregas won't be involved in the Emirates Cup which is disappointing but entirely predictable. I don't think Cesc will be integrated back into the squad until the deadline the club have set for his transfer has passed. Which hopefully means after the weekend things will start getting back to normal. 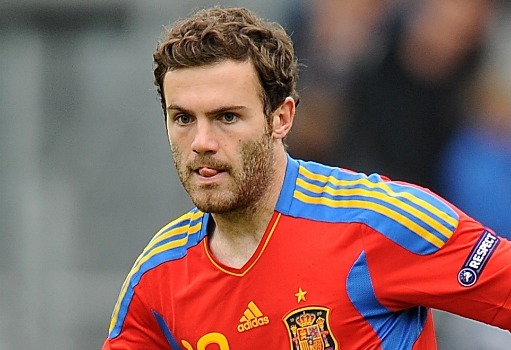 The big news today is that many of the media outlets are reporting Juan Mata's move to Arsenal is moving a step closer as the Spanish midfielder's "family and representatives" flew into London for talks. A fee in the region of £15m has been suggested - which would be a good bit of business if true. The question I'm asking myself is where does he fit into our squad? Is he a replacement for Cesc or Nasri? I would have thought he would take the Frenchman's place, because with a season left to run on his deal, we'd be better off cashing in on him now. But if Barcelona come up with the cash for Cesc, Mata could easily drop into his place within the team. One thing is for certain, this deal appears to have a bit of momentum to it. I'm not sure if it's the German air or the food the players have been eating but a couple of our squad have set themselves some tough targets for the coming season. Vito Mannone wants to be our first choice goalkeeper, while Andrey Arshavin wants to score 15 goals next term. And as Theo Walcott awaits news on the results of his MRI scan on his injured ankle, it seems that new signing Gervinho is fitting in well with the rest of the squad. With the departure of Jay Emmanuel-Thomas this week, and others of the same age group expected to follow him out of the club, it is interesting to read that Arsene Wenger plans to hand Kyle Bartley a new deal with the club and then send him out on loan for another season. The Daily Mirrror say that the manager is looking for a Premier League club to place him with for the forthcoming season. A central defender who would clearly love to play for us is Christopher Samba. He's been talking to the media about his ambition of playing Champions League football. If he really wanted to make that desire a reality why did he sign a new five year contract with Blackburn earlier this year, thereby preventing any club that wanted him signing him for a fraction of the fee Rovers are demanding now? Because he's a greedy footballer who saw the extra £££ they'd added to his weekly wage. If he's to play Champions League football, it won't be at Arsenal.